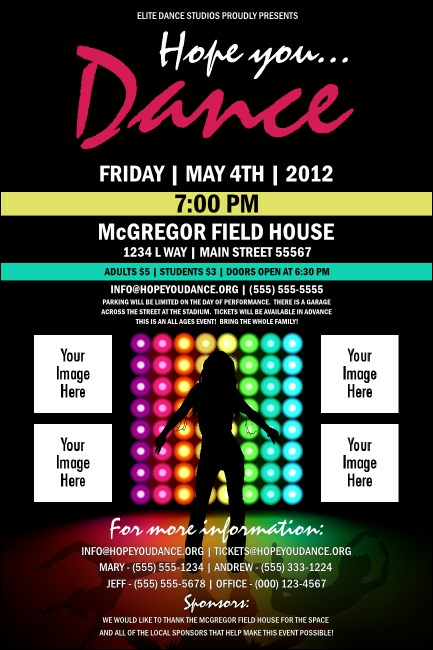 Make your dance recital the hottest ticket in town when you post the Stage Lights Poster before your next show. Bright colors on a dark background highlight your event info, with a silhouette of a dancer drawing attention to four custom images on the template. Pair with event or raffle tickets for matching event promotions! Create memorable events with the right design from TicketPrinting.com!